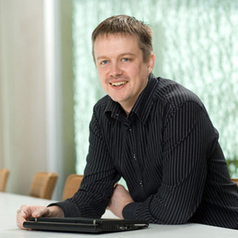 Jaan Tallinn is one of the programmers behind Kazaa file sharing platform, and a founding engineer of Skype. He is considered to be one of the foremost experts on P2P technologies, and together with Ahti and Priit worked out the core elements for Kazaa and Skype. He continues to be involved with Skype, where he's one of the lead system architects. Jaan has been known to sketch potential solutions for teleportation on napkins. Voracious reading and home life make up the rest of his pastimes. Jaan holds a degree in theoretical physics from the University of Tartu.